With its fast pace and progressively escalating stakes, Biomega actually does a better job capturing the experience of playing a video game than comics that are actually adaptations of existing franchises. As a result of that, the characters are thin and serviceable and their consequence is a distant second to event and spectacle, but there’s rarely a shortage of either of those ingredients. It’s also drawn extremely well, with clear, kinetic staging and some inventive bits of design (but not too many, because if you stare at how neat things are, the zombies will get you). There’s also a talking bear with a rifle for reasons that are probably no more complex than “just because,” but he’s welcome, as he keeps things from being entirely functional. I picked up Raina Telgemeier’s mini-comics at a Small Press Expo a few years ago and really liked them a lot. It was no surprise that publishers asked her to work on adaptations franchise properties like Ann M. Martin’s The Baby-Sitters Club (Graphix) and X-Men: Misfits (Del Rey). But it’s especially nice to see that Graphix is giving her original work such lovely treatment with Wednesday’s release of Smile. 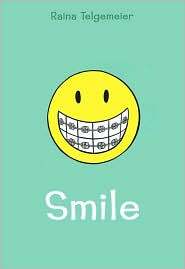 It heightens the average obstacles of life in middle school with a big bout of dental drama. I expressed my enthusiasm for Chris Schweizer’s Crogan’s March (Oni) over the weekend, so I won’t repeat myself. 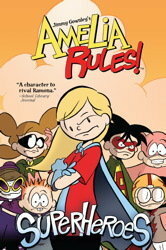 Collections of Jimmy Gownley’s terrific Amelia Rules! have been available for a while now, but they’ve found a new home at Simon & Schuster. One of those trade paperbacks, Superheroes, is due out Wednesday, and if you haven’t sampled the series yet, this is a perfectly good opportunity. It’s also time for Viz’s monthly mangalanche, and the emphasis is on titles from their Shojo Beat and Shonen Jump lines. There’s lots of good stuff on the way, but I find myself unproductively fixated on the first volume of Ultimo, a collaboration between Stan Lee and Hiroyuki (Shaman King) Takei, with assists from inker Daigo and painter Bob. With that many credits, it’s easy to suspect that Lee has already been a bad influence. To be honest, I’m not quite ready to issue a verdict on the book, but please do go read thoughtful reviews from Erica (Okazu) Friedman and Kate (The Manga Critic) Dacey. In the meantime, I’ll continue my fruitless stare-fight with the book as I try and figure out what it is about it that irritates me so. 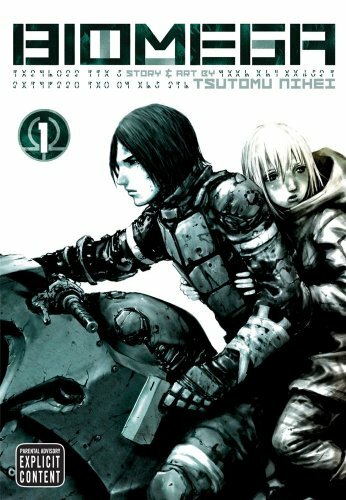 You are currently browsing the The Manga Curmudgeon blog archives for the day Tuesday, February 2nd, 2010.